Synopsis: A faded TV actor and his stunt double strive to achieve fame and success in the film industry during the final years of Hollywood’s Golden Age in 1969 Los Angeles. Thoughts: To be honest, this first look at the 9th film from Quentin Tarantino is not what I expected. Though this movie apparently has some connection to the infamous Manson murders that occurred a half century ago, you’d never know it by watching this teaser trailer which mostly focuses on A-listers Leonardo DiCaprio (The Great Gatsby) and Brad Pitt (World War Z) as a has-been star and his wise-cracking stunt double making one last go in La La Land. You barely see Margot Robbie (I, Tonya) as Sharon Tate and the Manson family members pass by quickly if you aren’t paying attention. What is there smacks of a lot of “acting” going on, especially from DiCaprio (yikes, that last shot!) and a little of that can go an awfully long way. 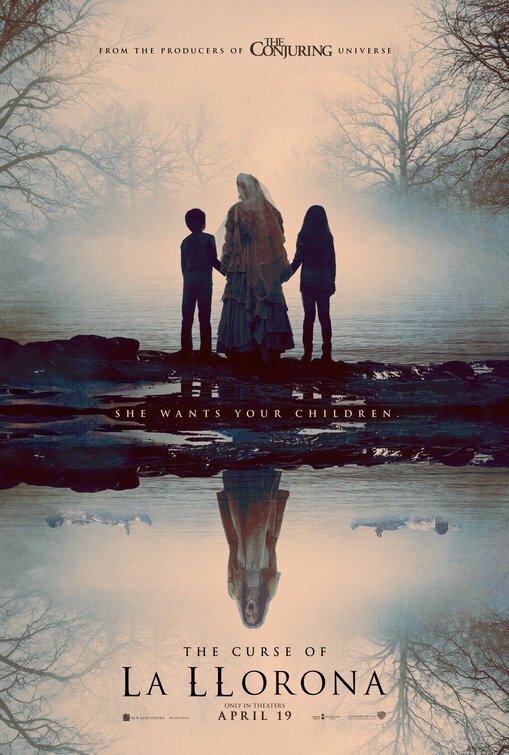 It’s clearly a teaser trailer for something more to come but usually Tarantino (The Hateful Eight, Django Unchained) offers up something a tad more enticing as an appetizer. Still, from the looks of it he’s recreated 1969 California as only a truly fanatic film nerd could so I’m absolutely interested in the main course. Synopsis: A late-night talk show host is at risk of losing her long-running show right when she hires her first female who revitalizes her show and her life. Thoughts: Movie nerds like myself who keep their ear to the ground (or, more to the point, keep up to date with their podcasts) heard the buzziest film to come out of this year’s Sundance Film Festival was Late Night, the comedy written by Mindy Kaling and starring Emma Thompson. Snapped up by Amazon for a June release, Late Night features Thompson (Saving Mr. Banks) as an icy late night talk show host on the decline and Kaling (A Wrinkle in Time) as her new (and first) female writer. There’s a little The Devil Wears Prada feel to this first look and I’m not hating it, but I can also tell the movie will have something more to say than just acerbic quips delivered with panache by Thompson. I’m mostly hoping the movie can follow through with an awards-worthy performance from Thompson and make good on its festival buzz when larger crowds get a look in early summer. Synopsis: Explores the formative years of the orphaned author J.R.R. Tolkien as he finds friendship, love and artistic inspiration among a group of fellow outcasts at school. 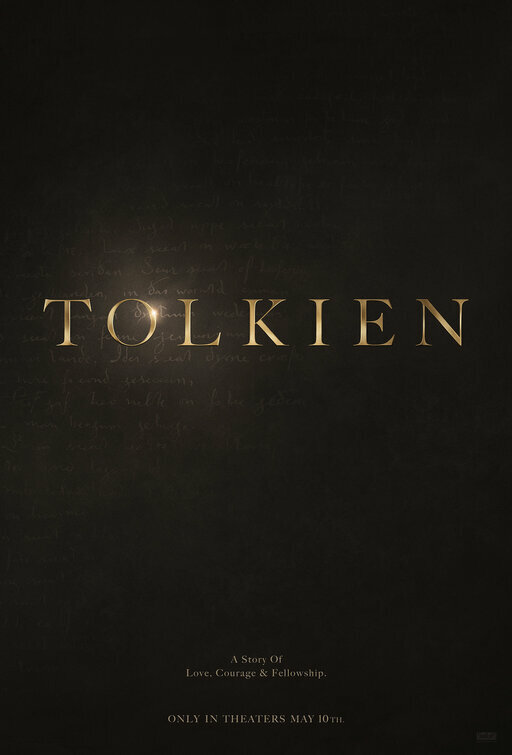 Thoughts: I love a good biopic (emphasis on good) so there’s a certain spark of excitement generated by this first full trailer for Tolkien which seeks to give us a look at the life of the famed author before he wrote the novels that would captivate readers for generations. Long before he sketched out Middle Earth, created Hobbits, dreamed up Gollum, and conjured Gandalf, Tolkien grew up in the shadow of war and eventually found himself entrenched in it. I’m interested how the film will tie these experiences into his writing and already am liking the look and feel generated from what I’ve seen so far. Starring Nicholas Hoult (The Favourite) and Lily Collins (Mirror Mirror), I’m keeping my fingers crossed Fox Searchlight does better with this author biography than they did with their A.A. Milne fiasco Goodbye Christopher Robin. Synopsis: A musical fantasy about the uncensored human story of Elton John’s breakthrough years. 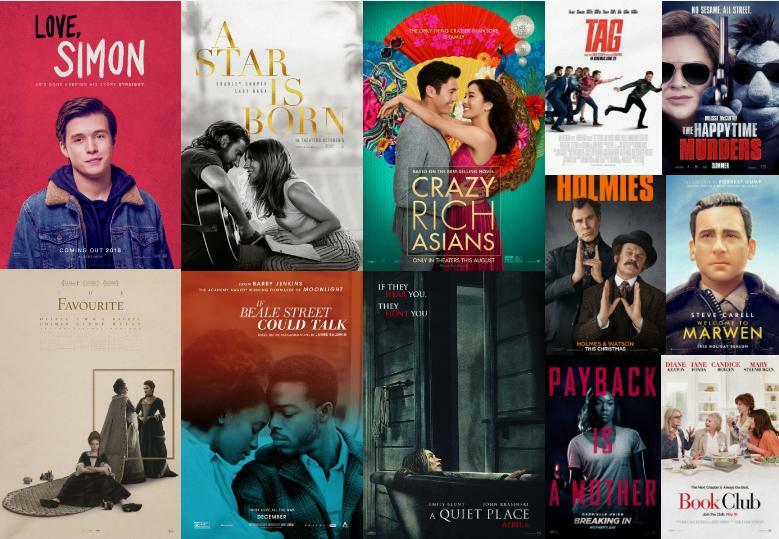 Thoughts: If the phenomenal (and, in my mind, baffling) success of 2018’s Bohemian Rhapsody taught us anything, it’s that audiences still have a soft spot for music biopics…even if Oscar voters didn’t feel similar to the far better achievements of the musical fable of A Star is Born. 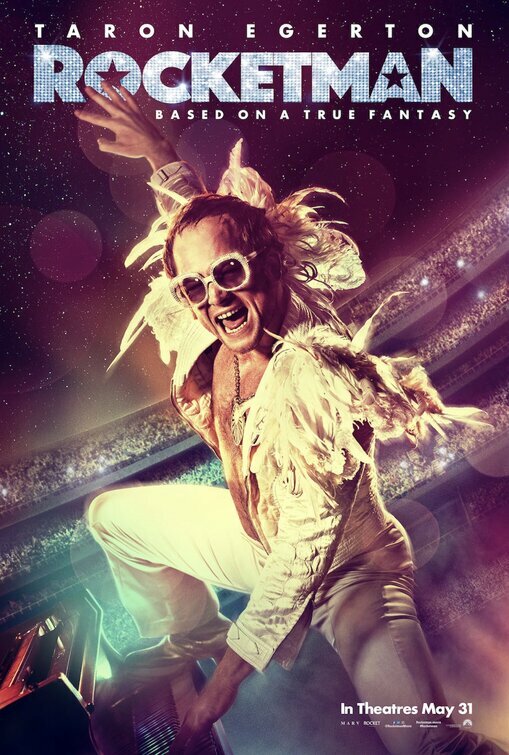 Anyway, that sore spot aside, the first trailer for Elton John’s lifestory Rocketman is out and it already looks like the type of glitzy glam spectacle Bohemian Rhapsody failed to deliver fully on. I’m hearing the film is a more fantastical take on the material like Across the Universe and you can see hints of that in the preview. Plus it benefits from star Taron Egerton (Kingsman: The Secret Service) actually singing in the lead role (take that, Rami Malek!) and evidently impressing Elton himself who has come out in praise of the rising star. Directed by Dexter Fletcher who, strangely, was brought in to finish Bohemian Rhapsody when its original director was fired, I’m hoping audiences will give John the same kind of love they gave Queen. Synopsis: A zombie apocalypse threatens the sleepy town of Little Haven – at Christmas – forcing Anna and her friends to fight, slash and sing their way to survival, facing the undead in a desperate race to reach their loved ones. Thoughts: In all honesty, zombie movies are just so not my thing. You can keep your walking dead and brain loving slow walkers for all I care unless you’re going to do something different with the material. Zombie movies like Warm Bodies gave us a unique slant to a familiar story which is another reason why the zombie musical Anna and the Apocalypse looks like it might be one to keep an eye (and ear) out for. Anytime a movie is compared to Shaun of the Dead and La La Land well, you have to take notice. 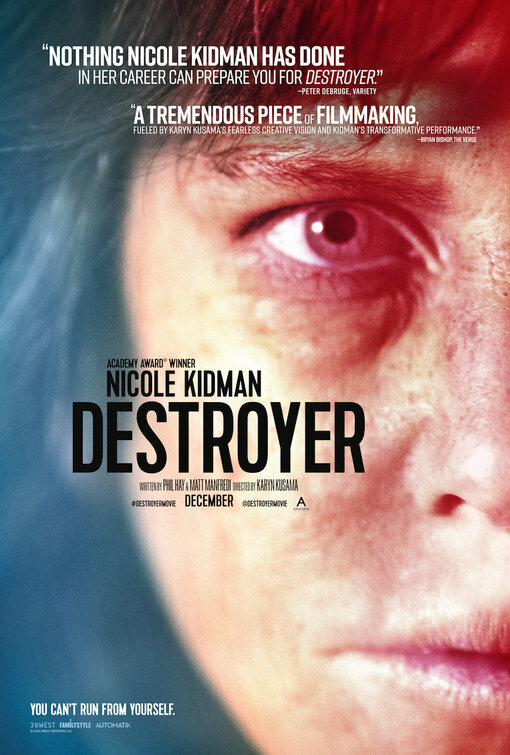 With a nice buzz coming out of the early fall festivals, this might be a bloody brilliant movie or another non-starter that played better with festival audiences geared toward this kind of material. I’m thinking it looks like a riot…but I’ve been fooled before. For now, count on my attendance to this apocalypse. 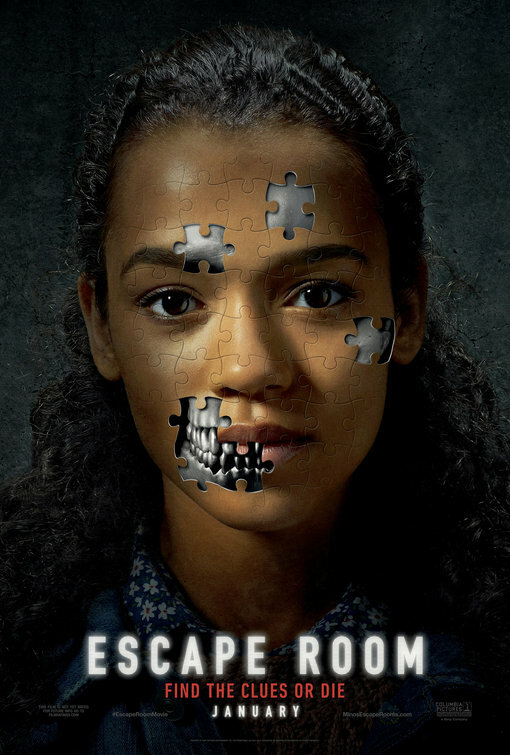 Thoughts: Even if Escape Room has a concept that feels like a less extreme version of what was first cooked up in the Saw films, I have to say this teaser trailer definitely has me intrigued. Over the past few years escape rooms have popped up all over the country to growing popularity so it seems natural that sooner or later someone would play off of the confusion and frustration of these diabolical rooms. I’ve been in several and if there was a horror movie made of my experience it would just be 60 minutes of me growing frustrated while trying to unlock a safe that has nothing in it. I have confidence in director Adam Robitel who gave us the freaky gift The Taking of Deborah Logan and helmed Insidious: The Last Key, and Escape Room feels like it could be the jumping off point for a clever new franchise.